John Olsen print titled “The French Bath” fine art reproduction print hand signed John Olsen, available from Etching House. French bath fine art print comes titled and numbered. The French Bath print is blind embossed with a Kookaburra design drawn by John Olsen confirming their validity.There is a Limited edition of 45 only plus 3 Artist Proofs. 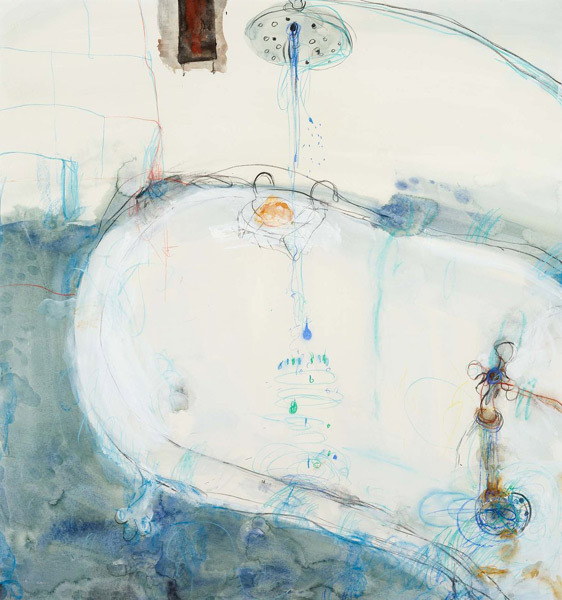 John Olsen The French Bath is Printed on 100% archival acid free cotton rag watercolour paper, 308 gsm thickness, using fade resistant archival pigment ink. John Olsen The French Bath hand signed print is available at Etching House on Lay By up to 12 months on 20% deposit. The French Bath by John Olsen is available from Etching House gallery fine art specialists.